Early Monday morning, a gruesome scene took place. 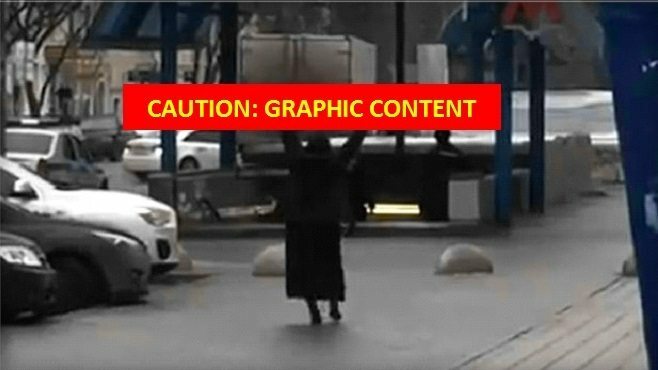 A woman in a hijab was carrying the severed head of a toddler and screaming at people passing by. The incident took place in Moscow, Russia. Witnesses said that the woman walked around outside a metro station for around 20 minutes yelling and brandishing the head. Police officers arrived on scene and requested to see the woman’s documentation. At that point she began waving around the toddler’s head and screaming that she would blow herself up. One brave policeman was able to wrestle the terrorist to the ground. No explosives were found on her person and she was taken into custody. An investigation revealed that the beheaded child was a girl about 3 years old and that the woman was the child’s nanny. The nanny has been identified as 38 year old Gyulchekhra Bobokulova from Uzbekistan. Uzbekistan has a Muslim majority, like other Central Asian states, and supplies migrant labor for Russia’s capital. The Moscow Investigative Committee released a statement with further information. Videos and images of the incident have been blurred out of respect for the toddler and her family.